January 20, 2014 - NPE supported the annual Martin Luther King Jr. Day celebration at Spring Valley HS from 4:30-6:30pm. NPE contributed to making this event free to the public with food, drinks, and live entertainment. 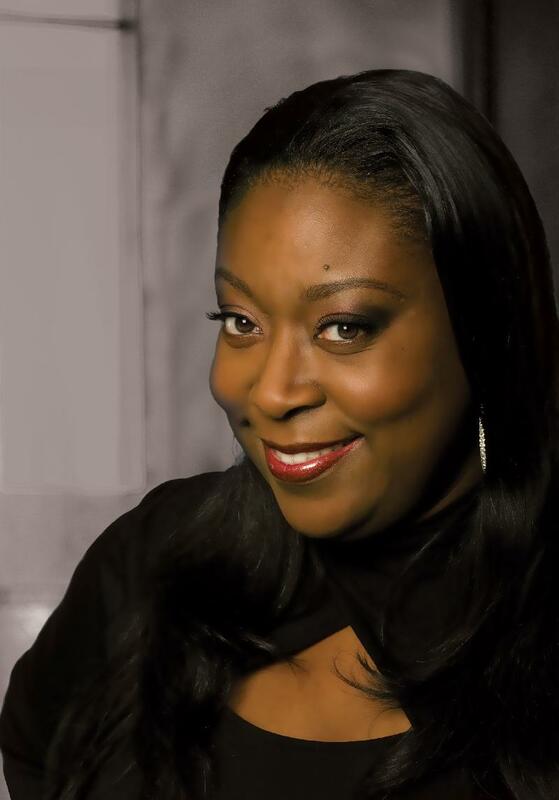 Loni Love is a one of the busiest women in comedy, balancing her stand up career at comedy clubs and colleges nationwide while appearing on shows such as Premium Blend, The Tonight Show with Jay Leno, VH1’s I Love the 70’s/80’s/90’s, and Comics Unleashed. Named Campus Activities Magazine’s “Hot Comic” in 2009 and one of Variety’s “Top Ten Comics to Watch,” Loni has starred in two of her own Comedy Central specials and is a regular panelist on Chelsea Lately. May 24, 2014 - NPE High School Council Party with a Purpose - The NPE HS Council held a very successful teen party at the Nyack Center with proceeds going to benefit Nyack Hospital. 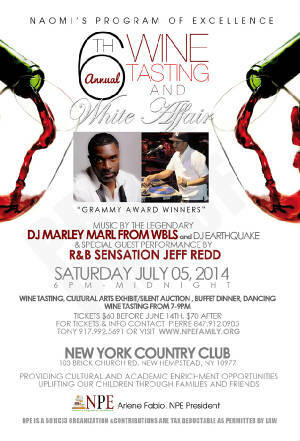 July 5, 2014 - Our Annual Winetasting event was held from 6pm - midnight at the New York Country Club. It was SOLD OUT with over 300 tickets sold. August 8, 2014 - NPE children visited Nyack Hospital as part of the Exposure Fridays series. Nevember 21, 2014 - NPE hosted a Thanksgiving Pot Luck Dinner for Members at the Martin Luther King Multi-Purpose Center. The children used the time to assemble Thanksgiving baskets for the community. Nevember 25, 2014 - NPE children donated Thanksgiving baskets filled with food that they had collected to the Martin Luther King Multi-Purpose Center. These gifts helped to brighten Thanksgiving for needy families in the community. December 6, 2014 - Our 10th Annual Holiday Dance was held from 7pm - midnight at the Paramount Country Club. 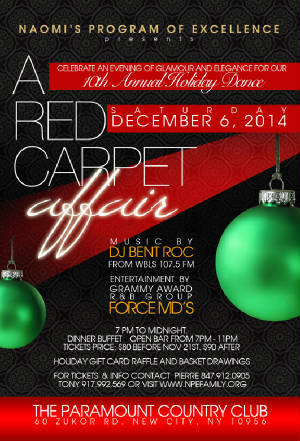 The SOLD OUT event featured a live performance by Force MD's as well as DJ Bent Roc.